8" Pretty Pink Satin Stretch Wide Loops with pre-tied bows feature a 1/2" wide band and are made from stretchy elastic. Pack: 50 loops. Great for jewelry boxes. Satin Stretch Loops are made from 1/2" stretch bands. 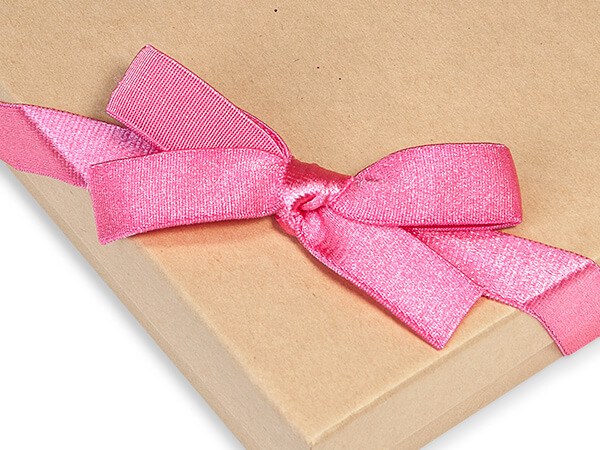 Loops stretch up to almost twice their size to give you flexibilty and makes giftwrapping easy! Size varies and stretch size varies. Bows are hand-tied.